The Olympic fever is on. Whether it be the Queen jumping out of a helicopter or Rowan Atkinson tickling our funny bone with his antics, the 2012 Olympic games have taken off really well. As the athletes are busy dealing with pressure, viewers are cheering madly for their home country. Needless to say, the Olympic fever is hard to escape. The Summer Olympic games are a major international event held every four years, in which athletes participate in a variety of competitions. With more than 200 nations participating, there’s very little doubt about the scale of these games. 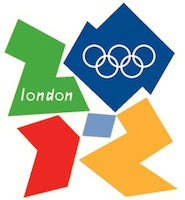 The 2012 Olympics began on July 27 and will end on August 12, 2012. This year, around 10,500 athletes from over 204 countries are fighting it out against each other for national pride and glory. Olymbuzz is a free app that lets you keep track of all the latest Olympic action as it unfolds. From latest news and schedules to results and medals tally, this app brings all the essential information to your pocket. Furthermore, Olymbuzz offers interesting and informative trivia of your favorite athletes and venues making it even more fun to use. If you’re only into Olympics to watch Roger Federer or any other favorite tennis star battle it out, this app is perfect for you. Olympic Tennis lets you keep up with all the tennis action from the event. 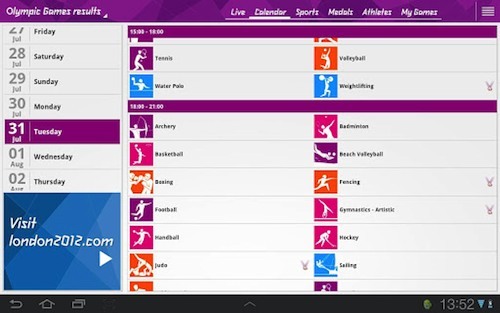 This is the official application of the 2012 London Olympics providing you with all the results, schedules, and news from the events. 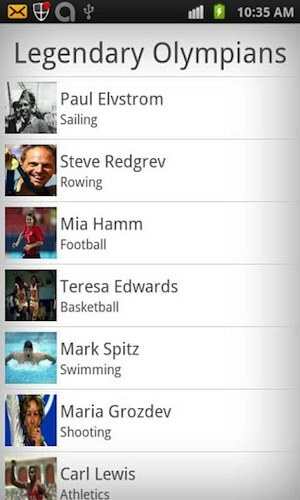 The free app features results, live updates, calendar schedule, details of sports, medal tables, and athlete profiles. You can also keep up with specific countries and receive official news and updates about them. 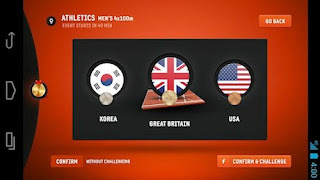 Samsung London Predictor is an app that makes it fun to predict medal winners on your mobile phone. Apart from letting you play this fun game with your FB friends, Samsung London 2012 Predictor can also be used to keep up with your favorite athletes and events. You can challenge your friends by posting your prediction on Facebook and tag the friends you want to battle against. 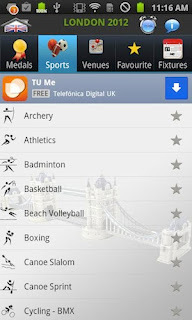 Overall, it is a fun app for keeping up with the Olympics as well as killing your free time. 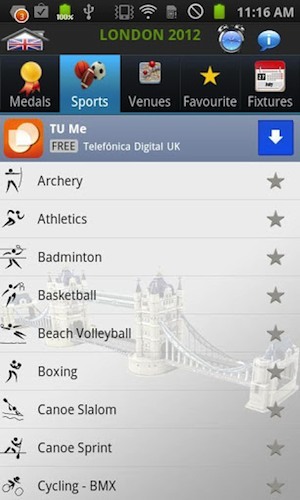 This free app lets you keep up with detailed information about the London 2012 Olympics. The app provides a nice medal tally along with a countdown ticker. Furthermore, you can check out schedules of your favorite sporting events and also trivia about different Olympic venues. 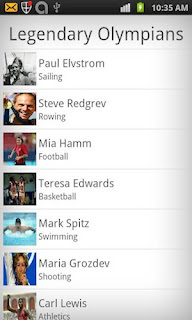 Overall, it is a great alternative to the official Olympic apps. 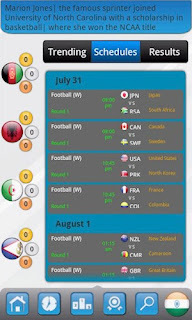 This is a really simple app that shows you the 2012 Olympics calendar as well as the medal tally. Furthermore, it features some interesting trivia about famous Olympians and Olympic history. 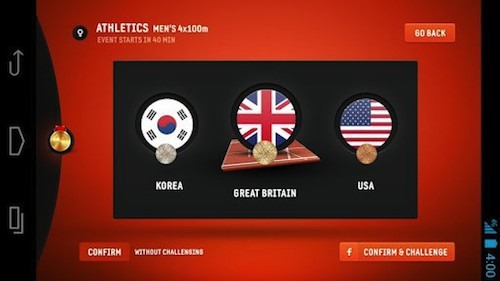 This is the official application of the 2012 London Olympics. If you’re visiting London, you can use this app to keep up with the ceremonies and cultural events around London. There’s also a feature called Torch Today which lets you view the Olympic Torch Relay with street-level routes for 1000+ communities over 70 days, and details of Torchbearers. You can also view the current Torch position in real time using the Torch Tracker function. 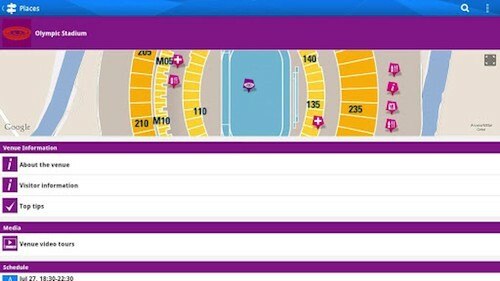 Furthermore, the app comes with a spectator guide and also some interactive searchable maps of London. Thanks for the great app suggestions. I just downloaded the results app so I can keep up with the Medal totals. I have been able to watch some of the games on TV but because of my work schedule at DISH I really haven’t had the time to sit down and watch. Instead, I have been using my DISH Remote Access app to watch because it lets me stream all of my live TV channels no matter where I am. I have been able to watch the Olympics and keep track of all the medals between these two apps.